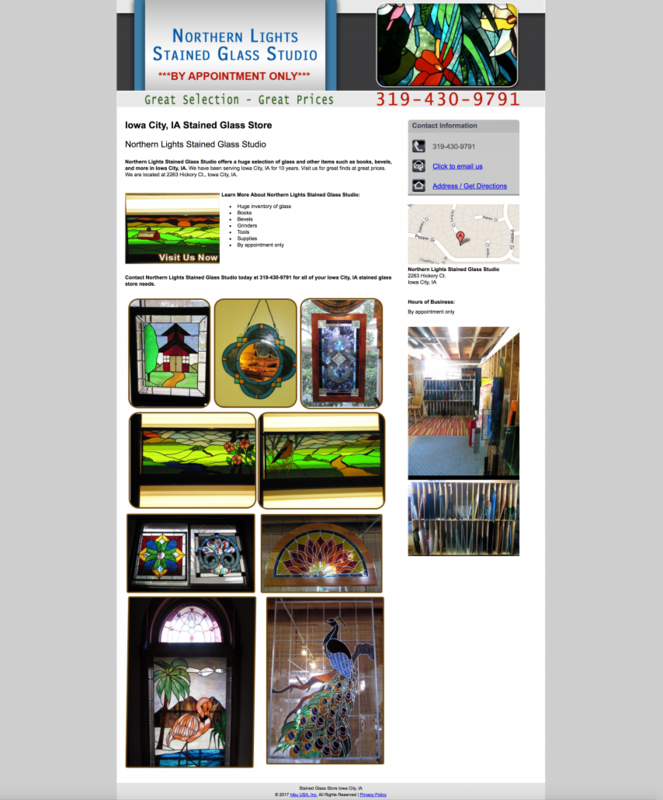 New website for our client Northern Lights Stained Glass Studio in Iowa City, IA. The original website was designed by the “Yellow Pages” (you know that company that made phone books) that failed and is now known as hibu. 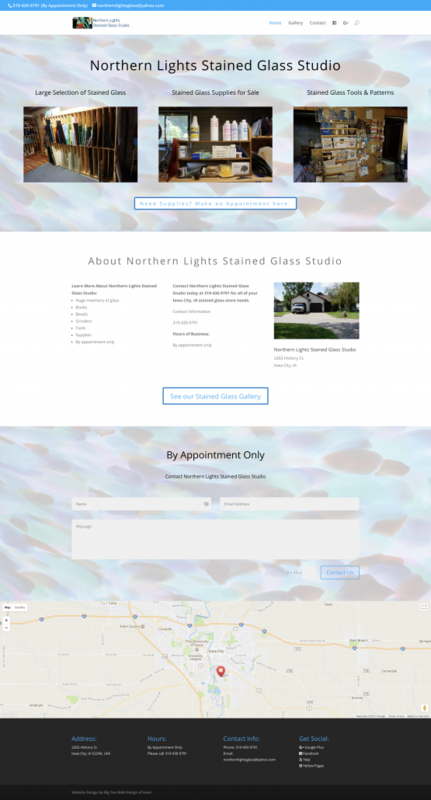 The owner of Northern Lights Stained Glass Studio was upset about the yearly rates her website going up every year. The original website was also not mobile friendly and wasn’t performing online to her expectation. So she looked for a less expensive option locally. She found Big Ten Web Design who cut her hosting for the year and the entire website design was low as well. This website only has three pages, but that is about all this client needs at this time. It already performs better than the previously designed hibu website. SSL (Secure Socket Layer) to establish an encrypted link between a web server and a browser. Easy to manage and add to her own site without paying someone else to do it.